GPGMail seems to think my secret key isn't present when it is. 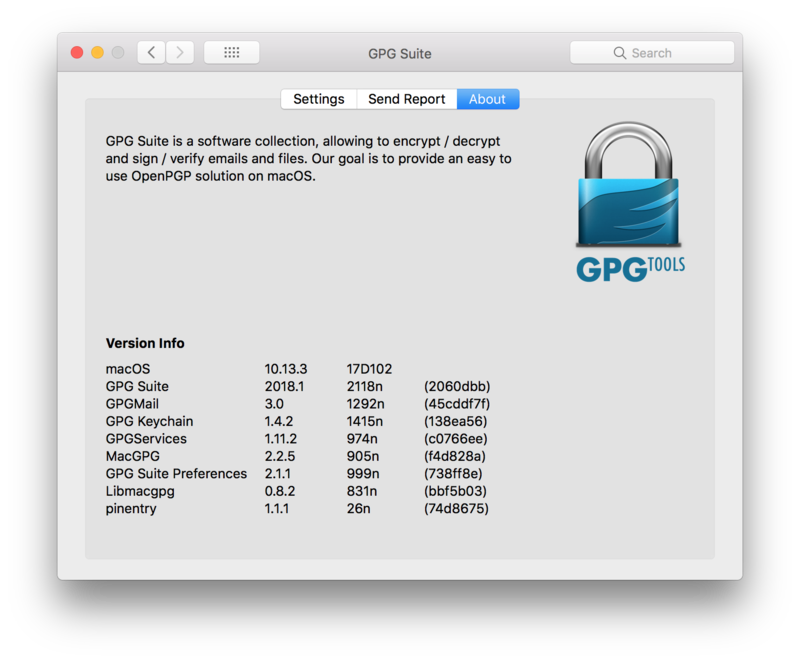 As the subject states, I cannot invoke GPGMail within the Mail client without getting an error. As it stands, it seems that it cannot find my secret key even though it is present on my system. I had expected the client to sign my emails. 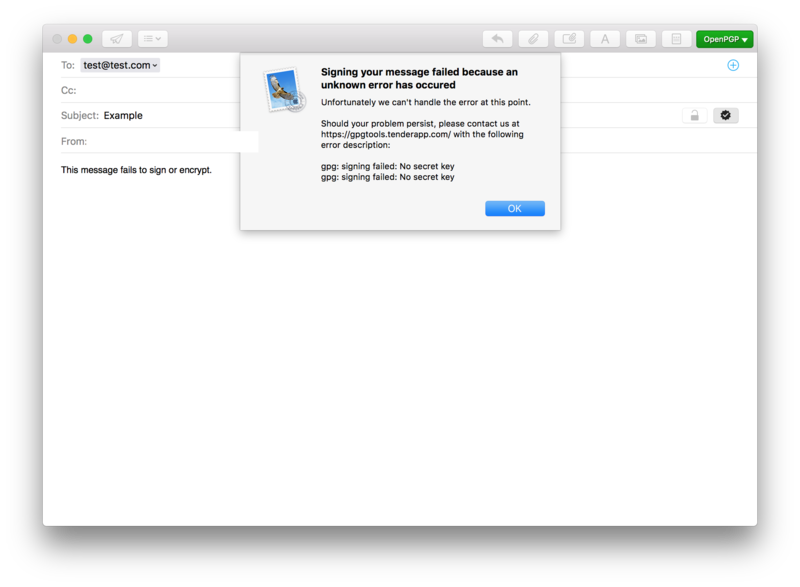 This error happens both if I want to just sign an email or if I want to encrypt and sign an email. The local gpg daemon is aware of where my key actually is and it successfully uses it in any other situation aside from this one. I am not using any additional plugins in Mail.app. I've attached a screenshot of the exact error and where it happens, as well as my version information. Some help would be appreciated. Let me know if any further information is required. I've tried the latest build as requested and that didn't seem to help. No obvious change in the behavior. 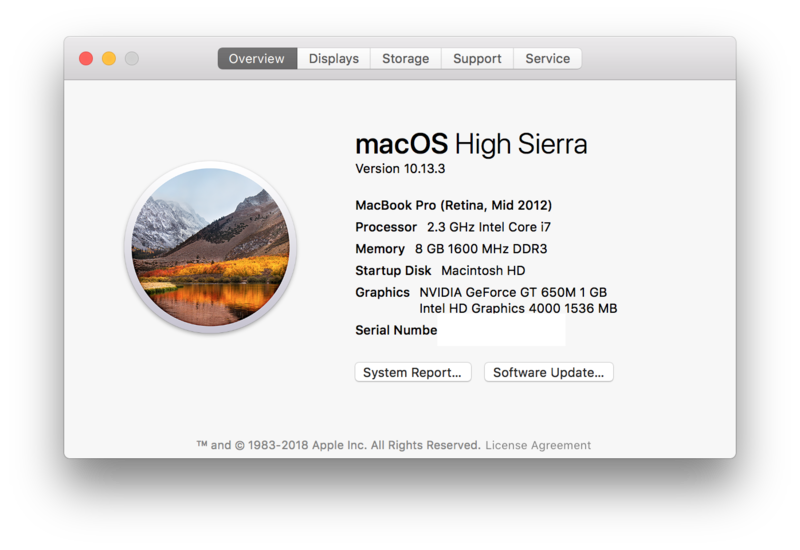 Build version attached for reference. I would like to note that this bug seems to trigger a general bug in Mail.app that prevents the New Message window from closing. I have to quit the Mail app in order to do so. This bug was present in both the release build and the nightly build. Can you please follow KB-article and let me know if that brings you back to working state. The problem with the unclosable drafts is caused by a bug in macOS Mail.app. We reported this issue to Apple in october 2015 as rdar://22828028. Please use their feedback form to inform Apple about this problem and ask them kindly to consider investing the time to fix this bug. It may help to add the rdar numbers, so they know which issue you are referring to. Steve closed this discussion on 20 Apr, 2018 11:54 AM.